Let me preface this post by saying it was ridiculously windy yesterday. Shout out to Mother Nature for making my bangs look like an out-of-place toupée. 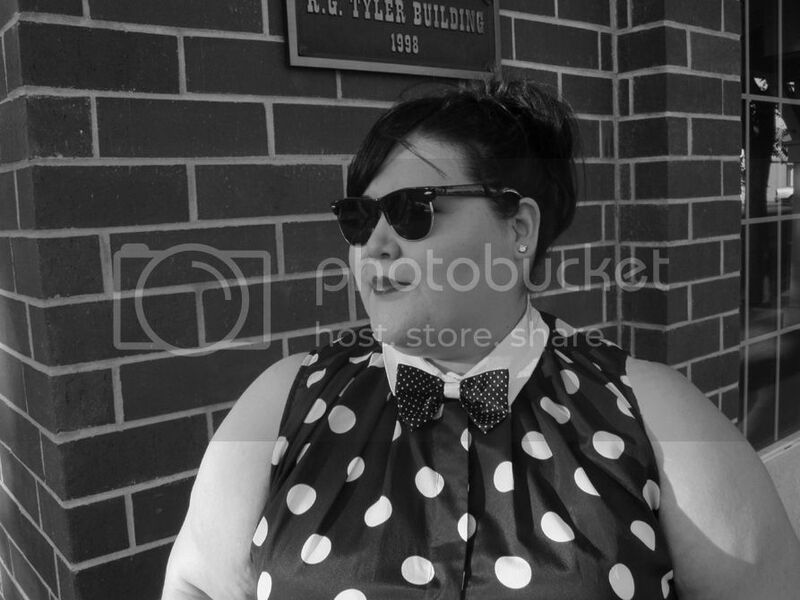 Now that I've got that out of the way, I can tell you how much I love this Kristin Miles polka dot top with bow tie. I became instantly obsessed with it as soon as I saw it in Gwynnie Bee's new arrivals. I've always loved a gentleman or stylish girl in a bow tie, but never thought I could pull it off. I'm happy to report I was so wrong. The bow tie easily fit into my classic/romantic style and the fit of the shirt was great. It even buttoned up all the way! Button ups are usually a pain for my apple body shape. I almost always I go up a size in button ups, but a 3X (size 24) worked out perfectly for me and my belly. I would've never had the chance to explore this style if it weren't for Gwynnie Bee. They gave me the option to try something new, something I always assumed wouldn't work for my body shape. I love that about them! Click here to get a 30 day risk-free trial to the subscription clothing service. Once you create an account, browse their collection and add this top to your virtual closet. 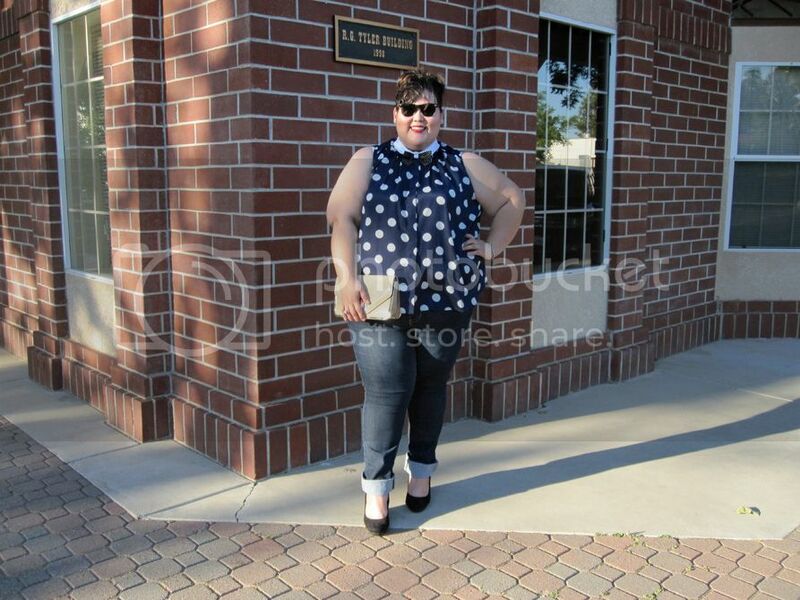 Then tweet me pics of your look so we can all have a fatties and bow tie party! 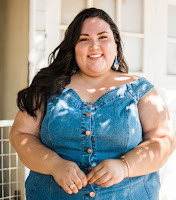 As a Gwynnie Bee blogger partner, I share my experiences with the subscription clothing service. All opinions are my own.